Following almost fourteen years of detention without trial, the last British resident to be held in Guantanamo Bay, Shaker Aamer, has been released. Amnesty International has described Aamer’s plight as “one of the worst of all the detainees at Guantanamo,” given the time involved, the lengthy spells in solitary confinement and the torture he was allegedly subjected to. The Supreme Court overturned the Court of Appeal’s decision on the correct test for when an asylum seeker or refugee resists their return to another EU country (here Italy) in which they first sought or were granted asylum. The parties before the court all agreed that the test applied by the Court of Appeal, namely a requirement for a systemic deficiencies in the listed country’s asylum procedures and reception conditions was incorrect. In a judgment with implications for the detention of David Miranda, the High Court has today dismissed an appeal against a conviction for wilfully failing to comply with a duty imposed by virtue of Schedule 7 to the Terrorism Act 2000. The Court rejected the submission that the Schedule 7 powers in question violated the Appellant’s right under Articles 5, 6 and 8 of the ECHR. However, the Court urged consideration of a legislative amendment introducing a statutory bar to the introduction of Schedule 7 admissions in subsequent criminal trials. Part of the following report is taken from the Court’s press summary, part is based on the judgment itself. I have an opinion piece in today’s Times on Abu Qatada. It is behind a paywall so I can’t reproduce it here, but you can probably guess from the title what my theme is: Abu Qatada’s case shows the human rights system works. Enjoy (if you have access). The European Court of Justice has, in recent days, handed down a judgment that hits several hot buttons: UK immigration law, EU human rights, secret evidence, and suspicions of terrorism. 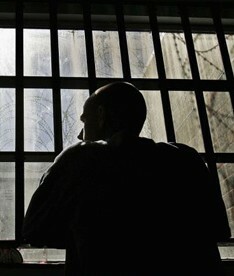 In ZZ the Court has had to rule on the use of secret evidence before the Special Immigration Appeals Commission (SIAC). Mr ZZ is an Algerian citizen. However, of crucial importance to his case is that he is also a French citizen, and therefore as an EU citizen, he is entitled to travel to and live the UK. Mr ZZ’s wife is a UK citizen and he was resident in the UK for a over a decade until 2005. In that year he travelled to Algeria but, upon return, was refused admission to the UK on national security grounds. I have written an article for the New Statesman on the announcement in today’s Queen’s Speech about Article 8 ECHR. It is here. Enjoy! 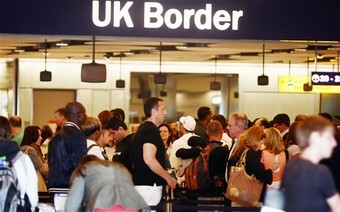 The Guardian reports that Prime Minister Cameron is considering denouncing the ECHR on a temporary basis in order to facilitate the deportation of Abu Qatada. As tennis legend John McEnroe might have put it ‘you cannot be serious!’ In order to remove one man from the jurisdiction the government is contemplating removing the protection of human rights for all. One suspects that this announcement by Downing Street was little more than ‘dog-whistle’ politics with the local elections looming next week. But what if the government is really serious? Two quick thoughts come to mind. Firstly, the UK is on the face of it able to denounce the ECHR under the terms of Article 58, though see below. But even after a denunciation the ECHR will remain fully applicable for six months. Presumably the government would wait for the six months to expire. It would then seek within domestic law to remove Qatada. As this would also require the suspension or repeal of the Human Rights Act 1998 this would require an Act of Parliament. No doubt a political and constitutional storm would break as a result. This would of course not be the end of the matter because the decision would be judicially reviewable, no doubt under an enhanced form of anxious scrutiny. How further forth would the government be then? Hot on the Home Secretary’s loss of the Abu Qatada appeal, a reverse for her in another deportation case about someone whom the Court of Appeal described as “an important and significant member of a group of Islamist extremists in the UK,” and who was said to have links – direct or indirect – with men involved in the failed July 21 2005 bombing plot. 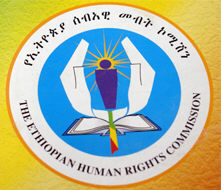 The general contours of the case will be familiar to Abu Qatada watchers, with claims under Articles 3 and 6 of the ECHR amongst others – that if J1 was returned to his country of origin (here, Ethiopia), his human rights would not be respected. There are however a number of interesting features about this decision of the Court of Appeal; firstly, it reversed a decision of the Special Immigration Appeals Commission against J1 on Article 3 (recall the heightened regard for SIAC as a specialist tribunal in the Abu Qatada appeal) , and secondly (in dismissing the Article 6 claim) it illustrates graphically some of the dilemmas facing Special Advocates when representing their clients in the imperfect world of “closed procedures” (a.k.a secret trials). The Home Office last night assured its 70,000 Twitter followers that “it is not the end of the road”. Yet by the time she had reached page 17 of the Court of Appeal’s dismissal of her latest attempt to deport Abu Qatada, it might well have seemed that way to Theresa May. In November, the Special Immigration Appeals Commission (SIAC) ruled that Qatada could not be deported to face a retrial for alleged terrorism offences due to the real risk of “a flagrant denial of justice”. Read my post on that decision here. Yesterday, Lord Dyson – the Masters of the Rolls and second most senior judge in England and Wales – together with Lord Justices Richards and Elias, rejected the Home Secretary’s appeal. In light of recent shenanigans, it seems apt to reproduce the first five paragraphs of the 25-year-old Court of Appeal judgment in (1) Nadarajah Vilvarajah, (2) Vaithialingham Skandarajah v Secretary of State For the Home Department 1990 WL 754859 (Update – download from BAILII here), which I was alerted to by a colleague. Sir John Donaldson, then Master of the Rolls, complains in withering style about media coverage of a recent judgment. The last line is the best, although a little depressing. Lessons learned? The more things change, the more they stay the same. Political posturing over immigration and asylum law long predated the Human Rights Act. And Law in Action was as good then as it is now.